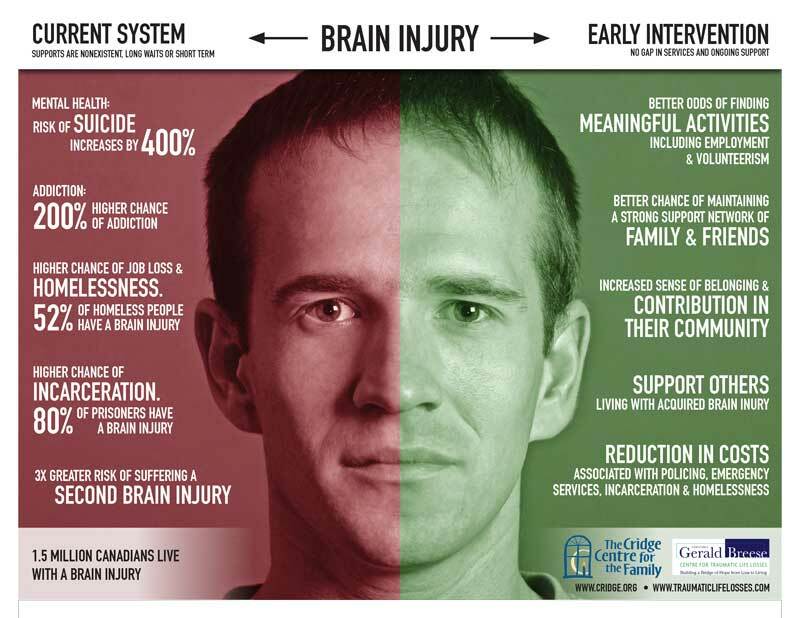 Brain injury is a leading cause of homelessness, mental health issues, high-risk substance use and addictions. These social issues are plaguing our cities and placing a massive strain on our medical and emergency services budget. Our video Surviving the Perfect Storm: Mental Health, Addictions & Brain Injury shows a clear link between these three issues. The stats of brain injury continue to rise at an alarming rate and the escalating costs to handle the ripple effects are far reaching. The current economic burden of acquired brain injury, combined with treatment, is $12.7 billion per year (Northern Brain Injury Association). We are already spending the money on acute care, emergency services, policing, and the prisons. If we address the three issues together, we can reduce the burden to taxpayers. It’s a matter of whether we pay now, or pay later. In many cases, persons living with brain injury may experience depression and anxiety often spiraling down to drug and alcohol abuse as coping mechanisms. 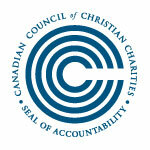 Due to inadequate support systems in the current health initiatives, those suffering have relied on family and friends. Where those supports are lacking, the situation can quickly escalate to dire outcomes, as we’ve witnessed on our city’s streets and shelters. A survivor of brain injury has a 200% greater chance of struggling with addictions and without proper services and supports the risk of suicide increases to 400%. The rising number of incidents and associated costs are both staggering and frightening. Brain injury is a major crisis in Canada. 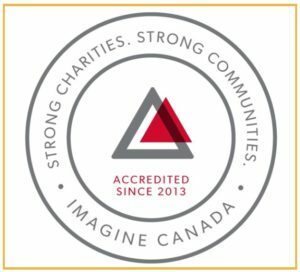 There are over 1 million Canadians living with the outcome of a brain injury. The incidence and prevalence of brain injury surpasses HIV/Aids, Spinal Cord Injury, Breast Cancer and Multiple Sclerosis combined. Brain injury remains the orphan in our healthcare system. No one wants it yet everyone assumes someone else is taking care of it. It’s time to change. If you are interested in purchasing a copy of A Change of Mind: a Documentary about the Societal Impact of Brain Injury, please click here. To read Janelle Breese-Biagioni’s Op-ed on Mental Health, Addictions and Brain Injury, please click here. To read The Cridge’s Position Paper on Brain Injury and Homelessness, The Mind of Homelessness, please click here.